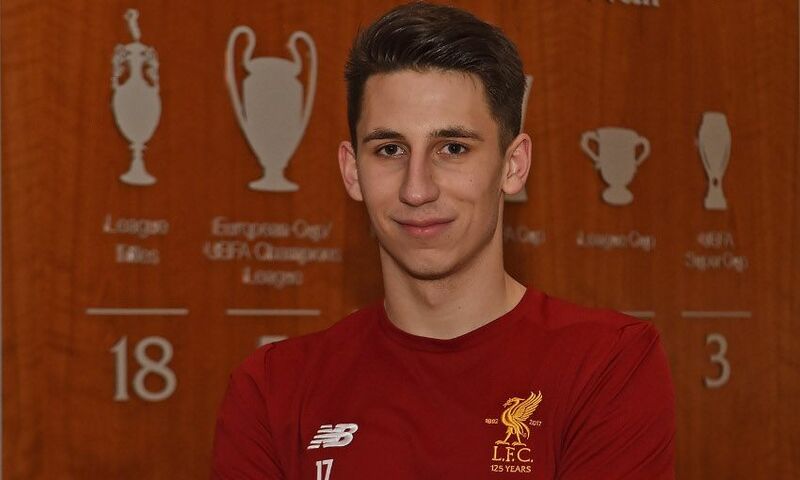 Liverpool Football Club can confirm that goalkeeper Kamil Grabara has today put pen to paper on a new long-term contract. The Pole, who joined the Reds from Ruch Chorzow in 2016, has featured for the club's U18s, U19s and U23s sides since his arrival. He has also regularly trained with the first team at Melwood, and was handed a maiden senior outing in a pre-season friendly meeting with Tranmere Rovers in July. After inking fresh terms at the club’s training base, Grabara told Liverpoolfc.com: "Obviously, I’m proud, I’m really happy. "I just give everything I’ve got every single day in the sessions and push myself as hard as I can." On the prospect of adding to his senior debut in the summer, the 18-year-old said: "I was fighting for that the whole time I’ve been in Liverpool so that was a good step. "Playing for the first team for the first time, it was only 30 minutes but it doesn’t matter how long, I was there and now I just want more!"